local and fully independent locksmiths. 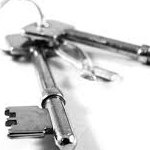 Welcome to Lock And key your local and independent locksmiths service since 2008.Local means local so fast call outs and low prices,we are not connected to a National company so you will always pay local rates.Established in 2008 you can be assured you are calling the right company for all your security problems from lockouts to upvc door and window issues residential and commercial.If the job is big or small not a problem we can deal with any security issues that you may have.We are open 7 days a week 24 hours a day for your piece of mind.Many discounts are available from charities to nhs staff and oaps.All entry techniques are non-destructive we pick locks not drill them. Brill!!! quickly arrived picked the lock just like James Bond! !